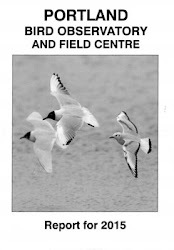 A reminder that there's an In Focus field event at the Obs between 10am and 4pm this Saturday, 23rd September. Not really the sort of day that we'd hoped for with the arrival of substantial cloud cover not dropping nearly as much as had looked to be on the cards. In fact it was the sea that was the surprise package, with a pulse of passage through off the Bill as the breeze freshened late in the morning: a Long-tailed Skua was the chief highlight, whilst 86 Common Scoter, 7 Great Skuas, 4 Arctic Skuas, 2 Sandwich Terns and a Teal provided something by way of numbers before the movement quite quickly fizzled out. On the land there was a thin spread of Chiffchaffs and Blackcaps everywhere but a lone Firecrest at the Obs was the only very minor oddity, whilst overhead visible passage didn't really ever get going. The first 6 returning Dark-bellied Brent Geese of the autumn passed through at Ferrybridge. 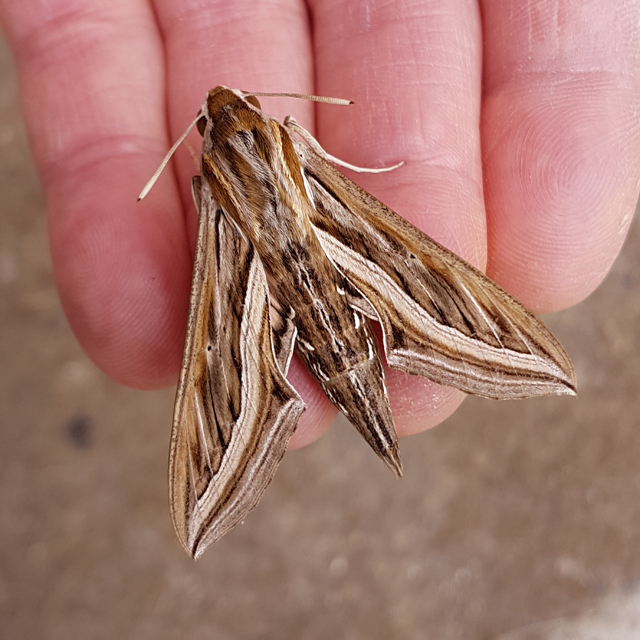 On a night of very subdued immigrant moth activity the discovery of a Silver-striped Hawkmoth (that was settled on a lawn beside an actinic moth-trap) at Weston was a most unexpected and very welcome highlight; 5 Rusty-dot Pearl and singles of Dark Sword Grass, Pearly Underwing and Silver Y were the only routine immigrants logged at the Obs.